I needed to find a way for our family to be still able to receive the health benefits from eating yogurt, but not having any yogurt go to waste. I thought I could maybe try making yogurt at home. 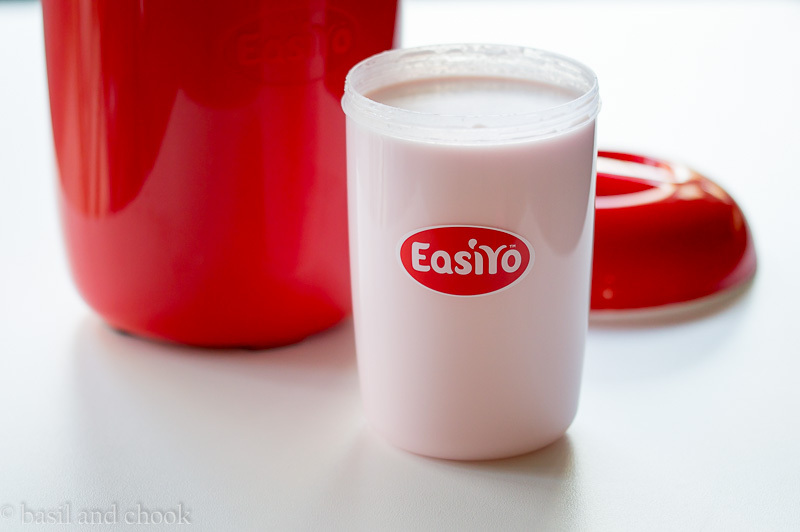 To see if homemade yogurt would make a difference, I decided to give the EasiYo Yogurt Maker ago. 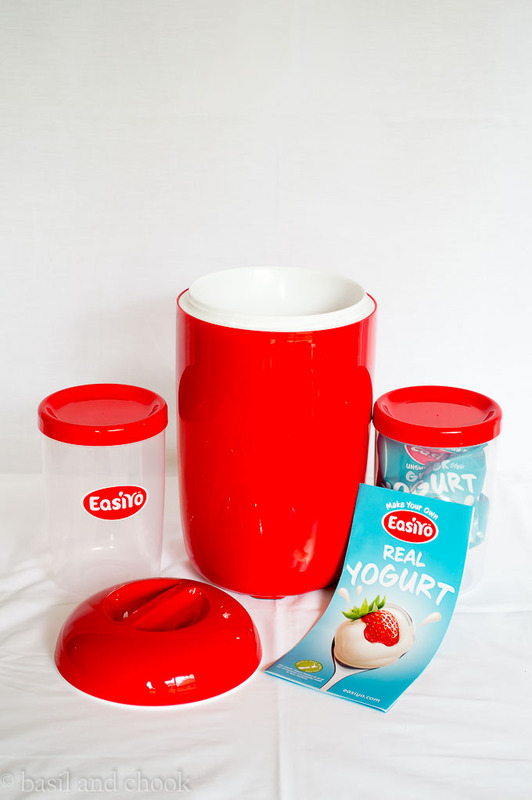 I opened the box and inside was a cool, stylish red retro red canister with a 1kg yogurt container. 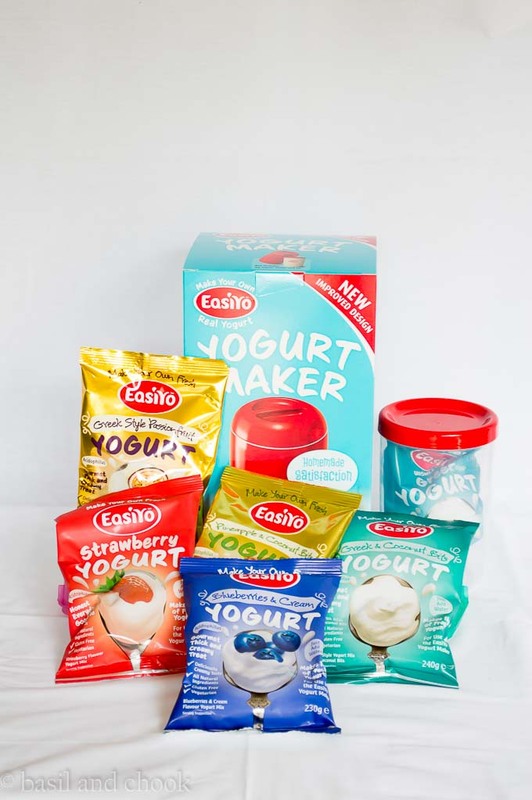 The yogurt sachets are not included with the kit, so you will need to purchase some of your favourite flavours to get you started. 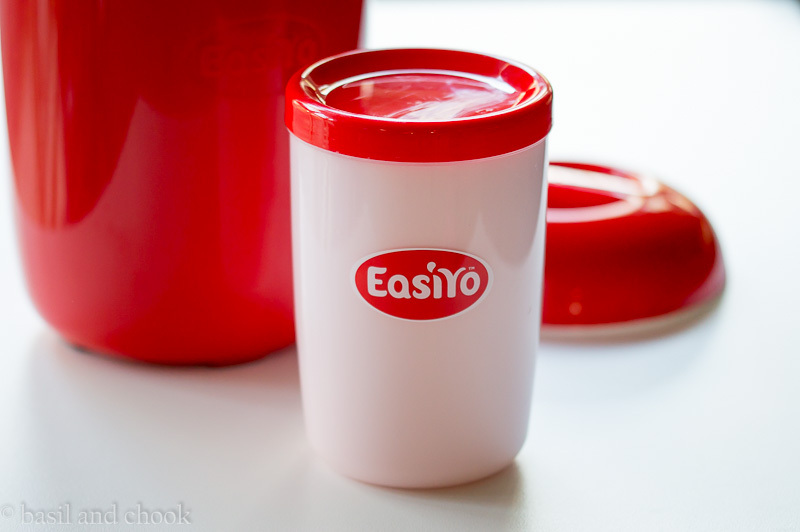 EasiYo was launched in Australia 20 years ago, so the redesigned EasiYo canister now has an easy grip handle, an improved twist lid, and non-slip feet. Last weekend I attempted my first batch. 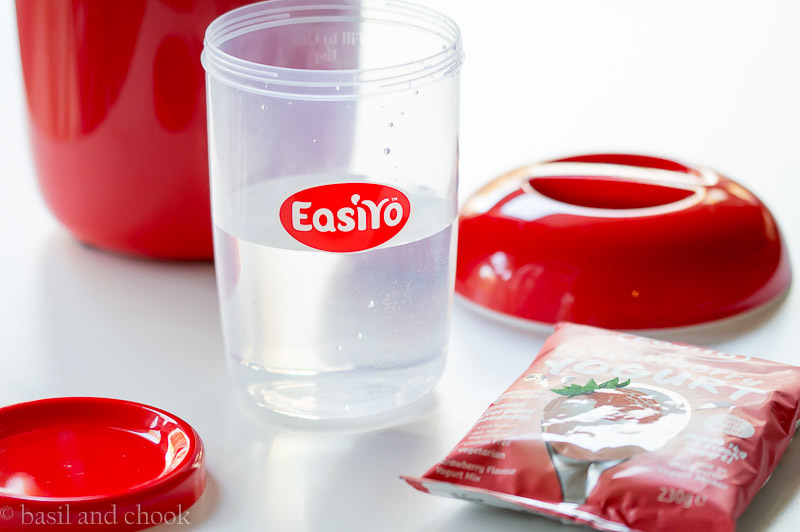 Add contents of the sachet, securely put on the lid and shake well. Add more water to the fill line, securely put on the lid and shake again. You then pour boiling water into the canister and fill it to the 1 kg container mark. 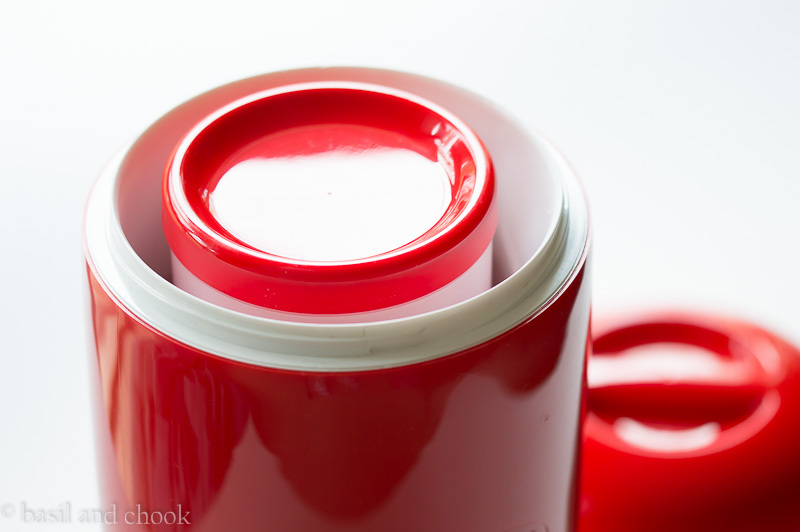 Place jar inside the Yogurt Maker and twist on the lid. Leave on the bench for 8-12 hours or until set. 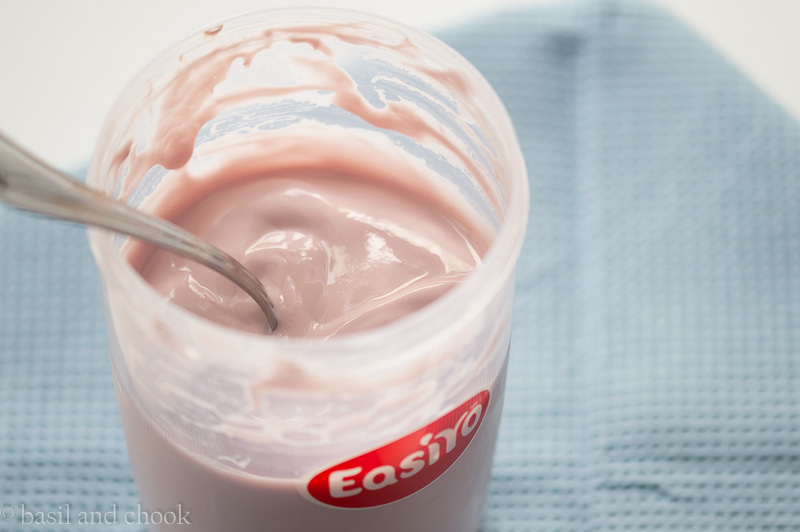 Once the yogurt is done, you remove the jar and store it in the fridge. The yogurt will keep up to two weeks but as it tastes so good, you won’t need to worry about that. Yes, the yogurt tastes fantastic! 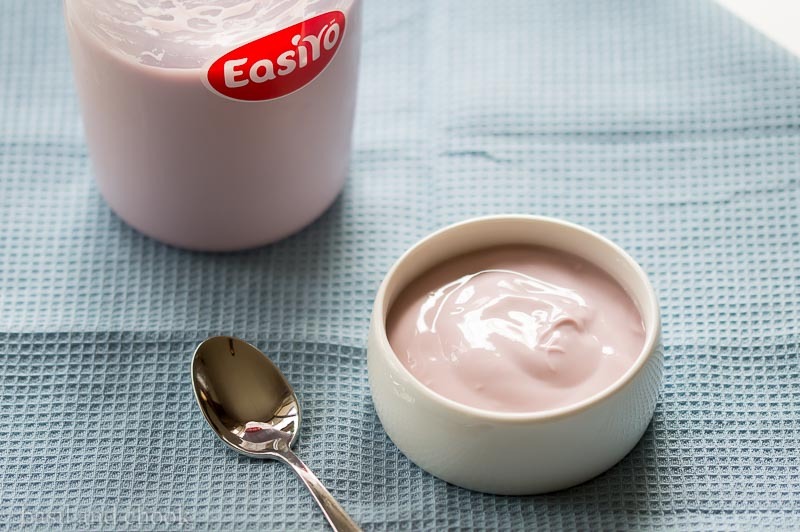 The end product from mixing a sachet with water is 1kg of thick, creamy, delicious yogurt. We tried Strawberry, and Blueberries and Cream. To our surprise, they tasted just as good, maybe even better than some of the bigger names populating the supermarket shelves. EasiYo was quick and simple to make. It was great knowing that by making homemade yogurt, I was providing real goodness for the family. The kids loved eating it. The hardest part was keeping them away long enough, so the yogurt had enough time to set. The yogurt is gluten-free too. There is no gluten, wheat or meat products (such as gelatine). Each spoonful of the delicious yogurt contains billions of live cultures (including acidophilus) and is a rich source of calcium and protein. 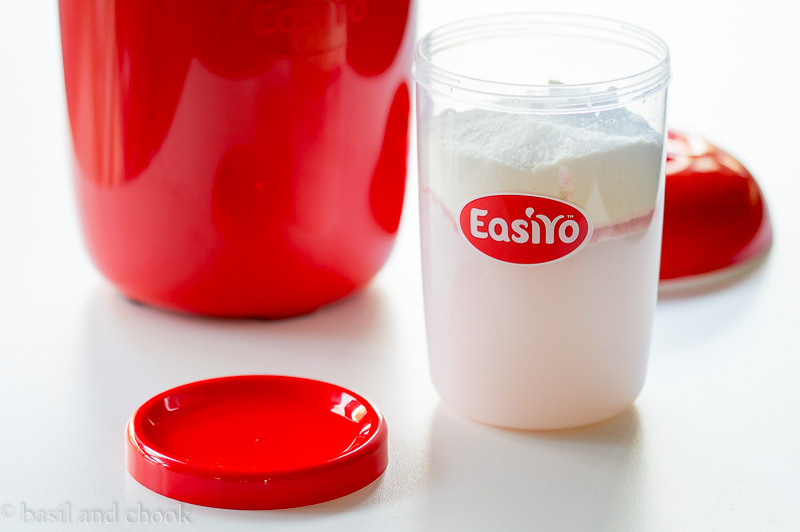 Since I have used the EasiYo Yogurt maker, we haven’t wasted any yogurt. It has been gobbled down by everyone. I liked the convenience of being able to make up a batch of yogurt when I want too and not to have to buy yogurt to sit in the fridge, just in case someone will eat it. The other day, I made a batch of yogurt in the morning then by night it was ready to put in the fridge. The next day we had yummy nutritious homemade yogurt ready to eat. 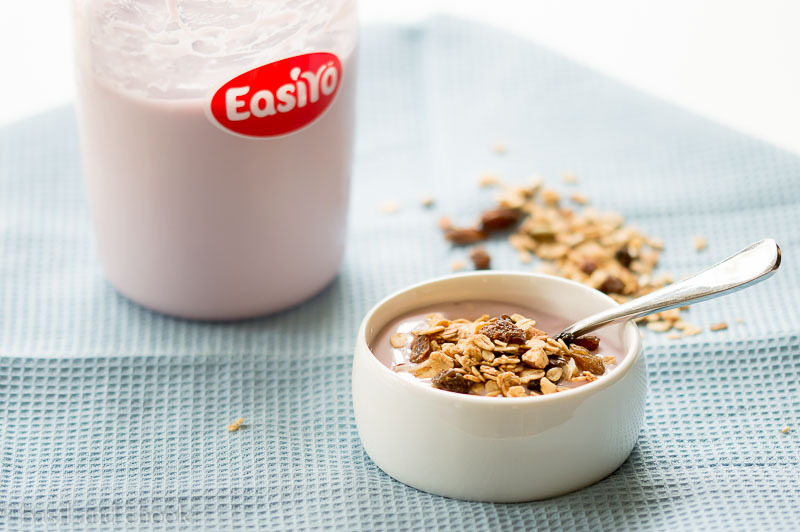 If you want to give this homemade yogurt a try, you can find the EasiYo products at Big W, Woolworths, IGA, and online. To learn more about EasiYo, you can visit their website, or check them out on Facebook and Twitter.